Do you want to learn what stands behind each of your decisions? Who Should Read “How We Decide”? And Why? 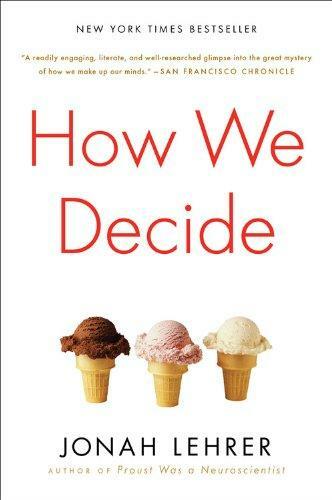 How We Decide is one of a few essential and popular books dealing with our decision-making process. If you know and like any of them – Blink, Think, Thinking, Fast and Slow, Predictably Irrational, You Are Not So Smart – then you’ll enjoy this one. If not, please, have a look at all of them. Jonah Lehrer is an American author. A Rhodes scholar, he published three bestselling non-fiction books by the age of 30 – Proust Was a Neuroscientist, How We Decide, and Imagine – and was widely deemed a successor to Malcolm Gladwell in more aspects than one. However, from 2012 onward, it was discovered that Lehrer had recycled his work, plagiarized colleagues, and misquoted other authors. Since then, both How We Decide and Imagine have been recalled from the shelves, and his final book, A Book About Love, has met with negative reviews. Find out more at www.jonahlehrer.com. As the title suggests, Jonah Lehrer’s How We Decide explores the science behind decision-making, one of the numerous books to do so in the last decade – as we have implied in our Who Should Read section above. Lehrer’s book opens with a very indicative epigraph, which we feel is apt and relevant enough to be quoted in full. Who knows what I want to do? Who knows what anyone wants to do? How can you be sure about something like that? Isn’t it all a question of brain chemistry, signals going back and forth, electrical energy in the cortex? How do you know whether something is really what you want to do or just some kind of nerve impulse in the brain? Some minor little activity takes place somewhere in this unimportant place in one of the brain hemispheres and suddenly I want to go to Montana or I don’t want to go to Montana. Well, that’s precisely what How We Decide is all about: those unimportant places in your brain hemispheres that make your decisions for you – even when you’re so sure that you’re in control. Believe our summary of Lehrer’s book. As you can see below, this article was published just one day after Super Bowl LIII – the most boring one in recent history – ended, and in a somewhat expected manner: the Patriots defeating the Rams and Tom Brady, once again, lifting the Super Bowl trophy. Coincidentally, Lehrer’s book begins with a recollection of Super Bowl XXXVI, contested by the same two teams and concluded in a much the same manner. The only differences: the Rams, the Greatest Show on Turf, were the runaway favorites back in 2002 (not that they weren’t favorites this year as well), and Tom Brady was just a back-up QB for the Patriots, expected to be the Hall of Famer that he is now by absolutely no one. After all, he was the 199th draft pick (in Round 6!) just two years before that and was deemed to lack “great physical stature and strength” in the Pro Football Weekly draft report. The report did get one thing right: Brady, it said, excels at decision-making. As you know full well, the NFL has a way to check how much with a test: the Wonderlic test. Not bad, considering that it’s twice as much as Dan Marino (16) and a third more than Brett Favre (22); however, certainly not as good as Ryan Fitzpatrick’s 48 (in 9 minutes) or Jason Maas’ 43! But why are Brady, Marino, and Favre the record-holders? Because, says Lehrer, the Wonderlic test is somewhat flawed. Simply put, it sees decision-making as something done with the rational part of our brains; the truth is, that’s merely half of the truth. You see, our brain consists of both a limbic (emotional) part and a neo-cortex (logical) segment; and we use both to make a decision. The reason why Tom Brady is so good at making the right decisions when in the pocket – i.e., when he has to make a decision in two or three seconds – is because in addition to analyzing and remembering thousands of plays before the game, he is also capable of deactivating the part which studied and absorbed them during it. In a nutshell, that’s the story of making the right decisions. Contrary to what Plato and Descartes believed and advocated, it isn’t right to always think a decision through; when you need to make a decision in a split second – you should always go with your guts. Because your emotions are genuinely empirical as well; after all, they too have evolved during a period of hundreds of thousands of years. And you owe your competence to something called “the dopamine feedback system,” which functions by detecting subtle patterns that you’d otherwise fail to notice. This was demonstrated by Antonio Damasio in the Iowa Gambling Task, popularized in his aptly titled book Descartes’ Error. In short, thanks to dopamine releases, people pick up the patterns in a rigged game of cards even though they consciously have no idea what the pattern is. People who suffer from orbitofrontal cortex dysfunctions, however, have problems doing this. The orbitofrontal cortex is related to emotions and reward systems in decision-making processes! But, be aware: your emotional brain is not perfect and, unfortunately, it is programmed in such a manner that if you adhere to its rules too much of the time, it will undoubtedly lead you on the wrong path. • First of all, as we suggested above, the emotional brain is preprogrammed to see patterns; however, as Taleb taught us well (or at least tried to teach us), it can be easily fooled by randomness. Gambling streaks or hot hands in basketball are not real: they are just your emotional brain seeing patterns where there are none. • Finally, due to the power of dopamine, the emotional brain always favors short-term rewards and disregards long-term costs; dopamine is fired three or four times the usual amount when you win something unexpectedly; and now you know why you keep gambling even after you’ve lost everything. In a nutshell, the emotional brain keeps you focused – and sometimes this can be a problem. Of course, the neocortex, the rational part of your brain, is here to help. You see, being focused means ignoring many things which don’t matter and directing all of your energy only on the ones which do. However, what if you’re focused on the wrong thing? Well, then it’s almost certain that you’ll make not only wrong but the wrongest decision. Think of the last time you panicked about something. A few things happened inside you, the most important of which was perceptual narrowing: you ignored everything but one thing. It usually works like this: earthquake = significant threat = I need to run away. However, your emotional brain is far from correct in this case: you can try to run away from a dog, but you can’t run away from an earthquake. In cases such as these, in order to think straight – science tells us – you need to regulate your emotions. The answer is surprisingly simple: by thinking about them. The prefrontal cortex allows each of us to contemplate his or her own mind, a talent psychologists call metacognition. We know when we are angry; every emotional state comes with self-awareness attached, so that an individual can try to figure out why he’s feeling what he’s feeling. If the particular feeling makes no sense—if the amygdala is simply responding to a loss frame, for example—then it can be discounted. The prefrontal cortex can deliberately choose to ignore the emotional brain. It’s not about getting angry; it’s about getting angry to the right and at the right time. From Malcolm Gladwell’s essay “The Art of Failure” – recapitulated as part of our What the Dog Saw summary – we learned that choking is the failure of overthinking things you’ve otherwise mastered. Well, that’s the foundational one of the few flaws your rational brain is intrinsically peppered with. • Perhaps the strangest thing about your rational brain: it’s illogical. 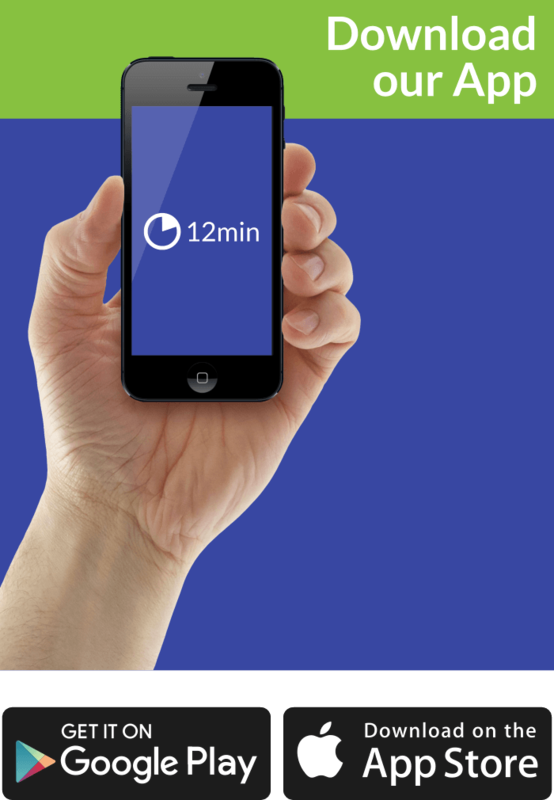 Here’s a great example: would you drive 20 miles to save $5 on a calculator worth $15? You probably would. Now, would you do the same to save $5 on a $125 jacket? You probably won’t. Even though, $5 is $5 either way. We mentioned Aristotle’s Nicomachean Ethics above, one of the foundational books on the moral mind. Well, strangely enough, that no matter how much you try, your moral decisions are usually made by the emotional part of your brain; the prefrontal cortex usually provides the reasons for it post festum. What does this mean in a nutshell? • Statistics have no effect on our moral decisions – they are all about sympathy; in a way, Stalin was right: as far as our brains are concerned, a single death is a tragedy; a million deaths are a statistic. • Mother Theresa said this better: “If I look at the mass, I will never act. If I look at the one, I will;” the case of Kitty Genovese is evidence of this. • If you can’t see the person you’re unfair to – you will almost certainly have no sympathy for him or her. Inside your brain, there’s a constant argument between different parts of it. When there is none, then you’re a close-minded person, an ideologue, someone who is capable of rationalizing any fact to fit your own system of beliefs. Since that’s the worst thing that can happen to you, it’s best to encourage inner discord and try to test your opinions from time to time. We learn best through trial and error. No matter how much you try, you’ll never be able to avoid errors; you’re simply not designed to. • When you need to make a difficult decision, then the best strategy is to gather all the information you can, absorb it and then forget all about it; make the decision after a while, in a split second, using nothing but your intuition. Plato and Descartes believed that the reason why we make so many mistakes in our lives when making a decision is that we don’t use our rational selves as much as necessary. However, science has found out that this is not true: in addition to the neocortex, the limbic brain (which deals with our emotions) plays a large part in our decision-making processes. Well, people who have suffered injuries in the limbic brain are incapable of making a decision. If you use your rational brain too much, then there’s a good chance that you’ll be fooled by irrelevant suggestions or/and you’ll eventually choke. If, however, you exclusively use your emotional brain, then you might start seeing patterns all around you and start preferring illogical short-term gains despite the long-term price. The key to making a good decision lies in the balance between the two: regulating your emotions when necessary and letting them run riot when not. When making an easy decision, always prefer the rational part of your brain to your guts. Use your conscious mind to acquire all the information you need for making a decision. But don’t try to analyze the information with your conscious mind. Instead, go on holiday while your unconscious mind digests it. Whatever your intuition then tells you is almost certainly going to be the best choice. Despite all the negative publicity after the plagiarism and quote fabrication scandal, How We Decide has its merits. And we believe that you’ll find at least parts of it engaging and thought-provoking.